The remarkable technology behind dental implants has literally grown by leaps in bounds in less than a few decades. Today there is a ninety five percent success rate with these replacements for permanent teeth, and they are considered significantly more satisfactory, safe and efficient than crowns, dentures, partials or any other restorative measures which address missing teeth. There are many health issues associated with missing teeth – first are the underlying factors that contributed to the loss of the tooth in the first place. For example, is poor dental hygiene, diet or disease a factor? Next, are the effects of missing teeth which can include everything from bad eating habits, malnutrition, social discomfort, low self-esteem and infection or disease. Many of these issues can be properly addressed by a patient who decides to visit their dentist to discuss a full mouth restoration, which will usually include some sort of implant dentistry. Not all patients are appropriate candidates for these procedures however, and those with diabetes, cancer, periodontal disease and any of those who smoke or take immunosuppressants are usually not likely to be approved for such treatment. Smokers can quit their habit, and must remain smoke free for the many months that the process requires, while individuals with periodontal disease can work to combat the problem and then seek out implant procedures. A patient interested in dental implants must visit their dentist and discuss their options. Not all missing teeth should be addressed in such a radical way. There are other choices such as bridges and partial dentures as well as “mini implants” that might be a more appropriate choice. A qualified dentist will fully discuss each option and make sure the patient has weighed the many “pros and cons” of each choice. Once a patient has been approved for implant surgery they must be full prepared for the lengthy procedure. First they must undergo a process known as “osseointegration” which introduces the anchor for the implant into the jaw bone of the patient. Most implants require from three to six months to become connected to the surrounding tissue and provide a safe and permanent anchor to the artificial tooth. Can osseointegration fail? Unfortunately, there are cases where the process has failed, which means the anchor will be removed and the patient can determine whether or not they are willing to try again. Osseointegration is performed by the placing of a titanium screw into the jaw bone of the patient; this is done by the drilling of a small hole in an area where there is no tooth. This requires terrific skill on the part of the dentist, who must avoid damaging critical nerves in the face and jaw. After the hole is drilled it is widened to allow for the placement of the anchor screw. Once the screw is in place a protective covering is put in place to allow the entire site to heal and the osseointegration to occur. Several months later the protective covering will be removed and if all is well a temporary crown is attached to the screw. This is done to familiarize the gum, and allow it to grow around what will soon be the permanent prosthesis. Once the dentist believes the gum tissue is ready, the permanent tooth or crown is put in place and the process is finished. The success rate for the procedure is generally very high, though there are a higher number of failures in the upper, rather than the lower, jaw areas. The reasoning for this is undetermined, but dental experts estimate this is due to lower bone densities in most upper jaw areas which make successful osseointegration more difficult as well as implantation of the anchor screw. There are other reasons for failure in implant procedures which include poor positioning of the screw, infection and factors such as smoking which causes irritation to the tissue within the interior of the mouth, and this leads to rejection or failure of osseointegration. Are there any other risks associated with implants? Infection is always a concern during the months of osseointegration as well as the weeks following any part of the procedure, but after that the only risks associated with implants are the result of ongoing inadequate dental hygiene. While the implants and crowns are not susceptible to cavities or decay, the soft tissue areas around the implants can develop a condition known as “peri-implantitis” which is remarkably similar to periodontitis, and is the reason that dentists emphasize appropriate care of the soft tissue, gums and crowns of any implants. Are there any alternatives to implant procedures? Actually there are several treatments being examined within the past few years. One of the most popular is the creation of “mini implants” which are significantly smaller implants meant to replace teeth like the incisors. These are the implant of choice for individuals who are using a single implant to provide stabilization or security for their dentures or partial plates. Mini-implants are not the same as traditional implants however, being less than half the width of the normal anchor screws and not completely submerged during the procedure. Though they cost less they are not providing the same results as a traditional implant. Additionally, dentists have been experimenting with pre-emptive preparations for implant immediately after the removal of a natural tooth. The patients most likely to enjoy this less lengthy process, which cancels out many months of time spent in the osseointegration process, are those whose jaws are appropriate to the anchor screws. For example, the extracted tooth site cannot be wider than the implant, and an appropriately trained dentist will be able to predict which of their patients will be a viable candidate for the early insertion of the anchor screw. 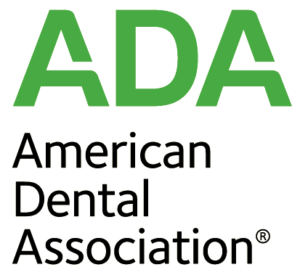 It is important to remember that not all dentists are able to perform this complicated procedure, and it is best to speak with several professionals to determine their skills and experience with implant dentistry before deciding on a provider.